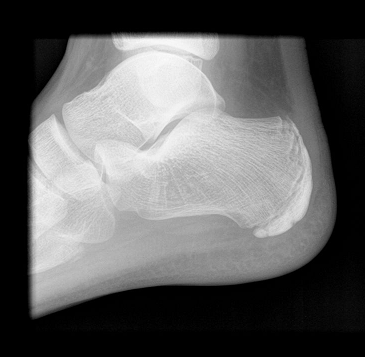 Painful inflammation to the growth plate (calcaneal apophysis) in the back of the heel. Overactivity in children between the ages of 8 and 14. Commonly seen at the beginning of a sports season inactive children. Trauma to the heel bone. Physical therapy to improve flexibility and diminish inflammation of the growth plate in the back of the heel. Occasional immobilization in a cast or brace to completely rest the heel and allow complete healing.